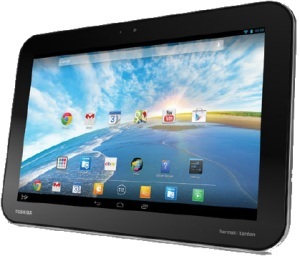 TOSHIBA eXcite AT10PE-A-105 10.1" Tablet NVIDIA Tegra4 Quad Core 1.6GHz 2GB 32GB. 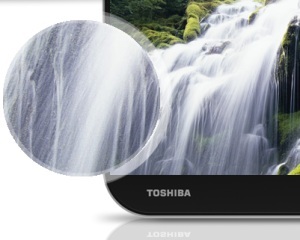 Take your tab experience to then next level with TOSHIBA eXcite. It is the first tablet to have 2560 x 1600 resolution plus equipped with premium speakers it gives you an amazing multimedia experience. 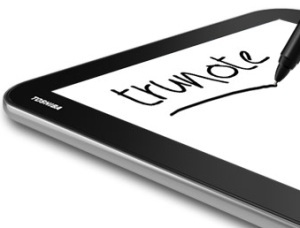 Its PixelPure display delivers true to life colors whereas TruePen gives you a perfect writing experience. To give you a real life writing experience it comes with special digitizer pen and screen overlay, while writing you get the feeling as if you are writing with pen and paper. You can write, make sketches and scribble on the display as you would on a paper. The input gets digitized so it can also be shared with others. TrueNote allows you to search through documents by simple handwriting stroke whereas you can easily copy content from white board or flipchart with TrueCapture. 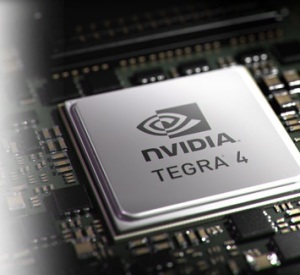 For more fun you need more power that is why Toshiba has equipped this tablet with NVIDIA® Tegra® 4. It is a mobile processor which combines four of ARM's most advanced CPU cores. So enjoy better gaming, fast multitasking, smooth web b browsing. Plus it also gives you Ultra HD playback, and HDR (High Dynamic Range) image capture for both photo and video. Toshiba Excite Write is equipped with a PixelPure® 2560 x 1600 resolution so you can watch your favourite movies in vibrant colours and exceptional clarity. Its 25.7cm (10.1'') HD capacitive touchscreen display is scratch resistant so your screen remains clean for longer period of time. It allows you to watch bright images even from wide viewing angles. This superb tablet comes equipped with Harman Kardon® speakers and DTS Premium Voice Pro audio enhancement. 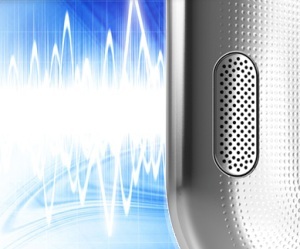 Whether you are playing games, listening to your favourite sound tracks or watching movies, you will experience high quality audio every time. With an integrated micro SD card slot you can store all your favourite media in it without worrying about the storage capacity. 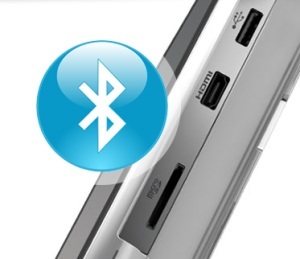 With micro-HDMI connection you can easily connect your tablet to large screen displays for better viewing of your content. Stay connected even on the go with Wi-Fi and Bluetooth 4.0.